Workers’ compensation is a benefit paid to workers who have suffered compensable work-related injuries or occupational diseases. The insurance is a required purchase for most employers by the North Carolina Workers’ Compensation Act, N.C. Gen. Stat. §§97-1 et seq., unless they are self-funded or not covered under the Act at all. Any person with an injury requiring surgery which prevents a return to pre-injury work should consult an attorney right away. The seriousness of the injury or disease, whether the insurance company is delivering appropriate benefits, whether the insurance company has accepted or denied the claim, are other factors to consider. Report the injury to your employer in writing ASAP; Note the names of any eye witnesses. Obtain medical treatment ASAP. Make sure the doctor addresses your ability to safely return to work. File your claim with the NC Industrial Commission on a Form 18 ASAP. Beware, there are time limits to file your claim and the employer’s Form 19 Report is not a claim. Cooperate with the claim investigation. Sign Form 25C so they can get your medical records, and be clear and honest when giving a recorded statement. Remember to explain your answer. Cooperate with medical treatment. Failing to appear at appointments or obtain recommended treatment may result in loss of benefits. If you need transportation, ask the carrier to provide it. Call an experienced attorney if you have any questions. Is there a pamphlet or similar publication that I can obtain to read about how workers’ compensation cases work generally? The North Carolina Industrial Commission publishes a Bulletin that can be obtained by going to their website (as well as all forms and other helpful information), or by calling the North Carolina Industrial Commission at 919-807-2500. What if I am partially or fully at fault in causing my own injury? Workers’ compensation is a “no fault” insurance program. This means your own contributory negligence in causing the injury is irrelevant. At most, your benefits may be reduced by 10% for failing to observe recognized safety laws. What if my work-related condition only contributes to my overall disability, considering other non-work-related medical conditions? The defense takes you as they find you when you get hurt, including all pre-existing medical conditions. So long as the work-related injury or disease is a substantial contributing factor in your disability, it is compensable. Does it matter if I have had previous medical problems in the same area as my work related injury? If a non-work related condition is materially aggravated or accelerated by a work related, compensable event, the insurance company is responsible for the injury regardless of the fact that you had a pre-existing condition. What happens if I return to work, but am forced to stop working again due to my work related injuries? If you are released by your physician with no medical restrictions, the law provides a 45 day window for you to attempt to return to work. If you are released to return to work with medical restrictions, the law allows you a nine month period during which you may attempt to return to work. If you are unsuccessful in returning to work due to your work related injuries during either one of the periods noted above, you and your doctor should complete an N.C.I.C. Form 28U and file it with the North Carolina Industrial Commission for an immediate resumption of weekly disability benefits. What types of benefits am I entitled to if I suffer a compensable injury or compensable occupational disease? The primary benefits are weekly indemnity wage loss benefits and full medical care for the work related injury and/or disease. The indemnity benefits are capped at a maximum rate, but are tax free. Can I get lifetime medical care for my injuries or occupational disease? Unless you settle your case on a final settlement agreement, medical benefits will end two years after the date last provided unless you file an N.C.I.C. Form 18M with the North Carolina Industrial Commission seeking lifetime medical care for your injuries and/or occupational disease. Time limitations do apply, and the cooperation of your authorized treating physician is recommended. My doctor told me that I have reached “MMI,” was going to be “rated” and “released.” What does this mean? The term “MMI” means maximum medical improvement. In the eyes of the law, you have now reached the end of the “healing period,” and may receive a permanent partial impairment rating to the affected body part from your treating physician. If you believe the rating is too low, you have the right to a second medical opinion on the issue (as well as prior to any proposed surgical intervention). You may also be issued permanent work restrictions at this medical appointment, and released from the care of your treating physician on a “return as needed” basis. Depending on whether or not you have suitable employment to return to by this time, you may elect to continue to receive temporary total disability benefits (if you are unable to return to any competitive work), receive temporary partial disability benefits (a wage loss claim if you return to work at reduced wages), or permanent partial disability benefits (based on the disability rating assigned by your doctors). You may not receive more than one benefit at a time. When, where and how do I file a claim? Generally, you must file an N.C.I.C. Form 18 with the North Carolina Industrial Commission within thirty days (maximum up to two (2) years if excused) of your date of injury. Different rules apply for occupational disease claims. How are workers’ compensation claims settled? Generally, there are two ways workers’ compensation claims are settled. The first way is by way of a form agreement. These kinds of settlements are usually not as high, but they leave open the possibility of reopening the claim for additional indemnity and/or medical benefits. The second way to settle a claim is by way of a final settlement agreement, or “clincher.” This type of settlement usually results in a higher settlement amount, but is riskier in that all rights to future payment of medical or lost wage benefits are permanently waived. If the insurance company denies my claim, or denies a benefit in an otherwise accepted claim, how should I respond? 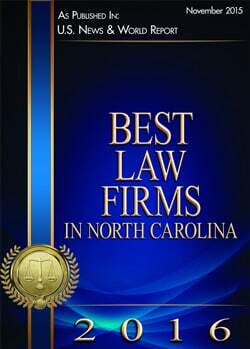 The North Carolina Industrial Commission is the quasi-judicial agency set up to determine disputes that arise under the North Carolina Workers’ Compensation Act. File an N.C.I.C. Form 33, Request that Claim be Assigned for Hearing, and wait for your claim to appear on a hearing docket within several months. Can I be reimbursed for mileage incurred in connection with my claim? You are entitled to be reimbursed for mileage incurred in connection with medical treatment of your work-related injury and/or disease as long as the required travel for said medical treatment is in excess of 20 miles round trip. Use Form 25T. Does the insurance company have the right to make me go to their doctor? Generally, if the claim has been accepted by the carrier as compensable, the insurance company is allowed the right to initially direct medical treatment. However, N.C. Gen. Stat. § 97-25 does allow an injured worker to select a physician of his own choosing, subject to approval by the Industrial Commission. You may also have the right to a second medical opinion regarding surgery or a disability rating. Does the insurance company have the right to send a nurse to go with me to my medical appointments? The insurance company, assuming the claim has been accepted as compensable, does have the right to assign a nurse case manager to your claim. However, the nurse case manager (as well as any vocational rehabilitation provider), is required to operate under specific rules set forth by the North Carolina Industrial Commission. For example, the nurse case manager must allow you the right to have a private examination by your doctor outside of his or her presence before the nurse is allowed to meet with you and the doctor. How can I be sure the insurance company has calculated my compensation rate correctly? Demand the insurance company obtain an appropriately executed N.C.I.C. Form 22, Report of Earnings, from your employer. Can the insurance company cut off my benefits without permission? There are typically only two ways for your temporary total disability benefits to be cut off. One way is for you to return to work, wherein the insurance company should file a Form 28 or 28T as soon as possible. Otherwise, the insurance company must file an N.C.I.C. Form 24, Application to Terminate or Suspend the Payment of Benefits, with the North Carolina Industrial Commission. You will be afforded an opportunity to send in a written response supported by medical and other documentation if you object to the termination of suspension of your benefits, and an informal telephone hearing will be scheduled. Am I entitled to receive copies of my medical records? The insurance company is receiving copies of all of your medical records. You are entitled to copies of these records from the carrier without charge, as well as a copy of any recorded statement that may have been taken, rehabilitation records, employment records, and any written communications with your treating physicians. You must request these in writing. If you would like for us to contact you about your case, click here.